Very encouraging to see how the Lord has developed these new initiatives. ​Please take a moment to pray for the evangelists in Iceland. With increased numbers, our training in April had a dynamic feel about it. Hearing testimonies of how individuals have been called to preach the gospel in Iceland was both inspiring and raised expectation of what God is doing, and is about to do. We sense this training is taking place at the right time, with the right people, and at a hugely significant time in both Iceland and Europe. This weekend we focused on the art of communication; the preaching of His word effectively to a lost world. At the end of our time together, the evangelists covenanted to meet together once a month in Reykjavik, to spur one another on in this precious call. 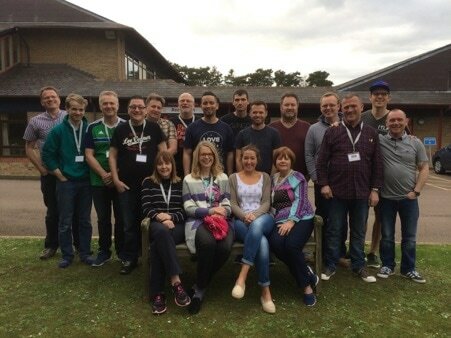 The second residential weekend of this brand new training initiative took place in mid November. The focus this weekend was firmly on 'The Evangelist and Culture' and we were delighted to have teaching input from two Icelandic seasoned evangelists who were able to lead through some very specific training for the young evangelists present. There is increasing secularism and paganism in Iceland and the Icelandic leadership team sense that this EEI training is a significant tool in equipping this upcoming generation of evangelists to faithfully declare His truth in an increasingly hostile environment. By God's grace, these young evangelists will be used mightily in His Name to bring transformation in Iceland! Prayer point: We are naturally partnering local churches with this EEI initiative and we are presently exploring how we can also stand alongside those churches in the outermost parts of Iceland. Prayer for wisdom is appreciated. "I was encouraged to step out into my calling"